Outstanding, award winning self-catering holidays – Visit England Excellence Awards – Gold Winners for Access for All in 2011 and Highly Commended in 2013. 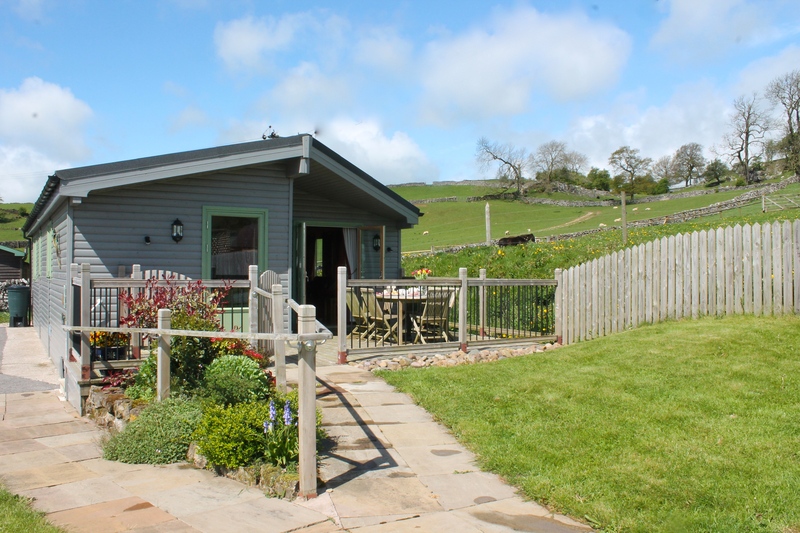 Hoe Grange Holidays comprises three spacious 4 Star Gold fully accessible log cabins in the stunning Derbyshire Peak District countryside, equipped with everything you need for a relaxing holiday experience; a real home from home. 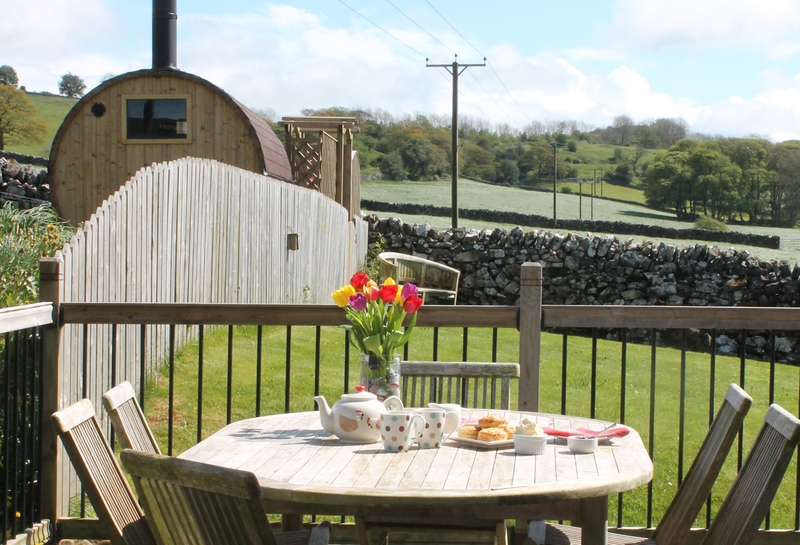 Set on a working farm with plenty of outdoor space and excellent views, you can take time out to relax and watch the wildlife. A warm welcome awaits including those little extras that make all the difference; from delicious homemade bread, and our own free range eggs, to gorgeous eco-friendly Faith in Nature toiletries. Each two bedroom cabin sleeps 4 guests and has a large wetroom with roll in shower, (there is a choice of shower chair / commodes), and w/c with fold down bars. Rainster and Daisybank cabins also feature Pressalit Care adjustable wash basins. All the log cabins also have a second family bathroom with luxury whirlpool bath. Each accessible bedroom has a single electric profile bed which can be raised on blocks if required. In Rainster cabin there is a single Volker electric profile bed with cot sides, which is height adjustable. In Rainster and Daisybank both bedrooms can be made up with single beds and furniture can be removed. We are proud to be the first UK holiday accommodation to offer hire of a Boma 7 off-road wheelchair so you can trek across the farm fields and local trails alongside family and friends. There is an additional charge for hire of the all-terrain wheelchair. All cabins have dedicated car parking. There is spacious outdoor decking by each cabin which is ideal for wheelchair users. If you want a break from the cooking try some delicious locally produced ready meals and puddings. Swedish hot tub and sauna available at additional cost. There is also a 4th cabin on site which is rated Mobility Level 1 so we can accommodate larger groups of up to 18 guests.